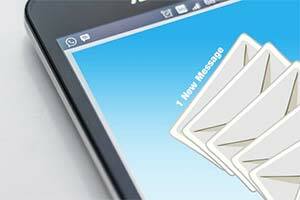 With the rise of texting and social media in the past decade or so, email is seen more and more as a more formal method of communication, and a place for official discussion on serious topics. If you need an email translated for something more important than casual conversation—like court proceedings, for example—you're going to want to get certified email translation. Getting your email translation certified is a simple process that involves no additional work on your end beyond what's involved in any ordering any other translation service, and certified translation provides you with a signed, notarized statement attesting to the quality and accuracy of the completed translation—a must when using emails in courts of law. It's just email. Can't I use Google Translate? No, if you're getting the email translated as evidence or for other official uses in court, email translated via Google Translate and similar services will not be accepted. In addition to their known inaccuracies, there is no way for a third party to confirm the accuracy of the translated text. Non-certified translations will not be accepted in court. So if you try to submit a translation of your text that hasn't been completed by a professional, human translator and certified, its use will be rejected, and you'll be wasting your own time and money, in addition to that of the court itself. What other related translation services should I be aware of? In addition to certified email translation, Translation Cloud can provide you with contract translation, court or legal interpreter services, and many other legal translation services you may need to accompany it. Be sure to read up on what we can provide, and don't be afraid to ask us any questions. Contact us now for more information on how our email translation services can help you now!